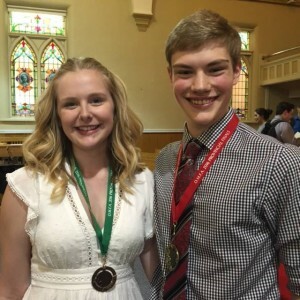 Congratulations to our Students at OMFA! Congratulations to our students from Melissa Bencic’s studio who performed at OMFA Provincials in the Senior Music Theatre Category. 3rd place – Taylor Garwood. Fantastic job everyone! Pictured above: Taylor Garwood, Ben Page.